Dear visitors! SovietCams.com is celebrating it's 10 years anniversary this 2016 year. During these years I have spent many thousands of working hours to make this source more informative and attractive for my guests. Now the situation is changing a lot. The lack of time doesn't allow me to maintain this website regularly. I'm checking SovietCams quite often and I'm not satisfied with results, indeed. A lot of information is OUTDATED now and do not correspond my understanding of today's quality requirements. I have no decision how to change the situation yet. 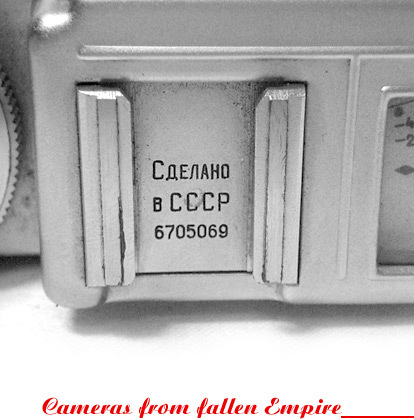 Beside this, I have lost my interest in many soviet cameras collecting unfortunately. Right now I'm concentrating my attention on history of still (and cine) cameras, released by the famous LOMO factory (not Lomography) and I'm spending all my leisure time on this activity, indeed. Thanks for your understanding and patient!